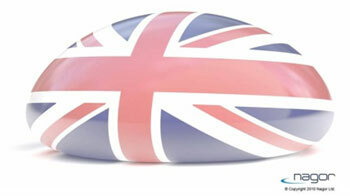 Nagor is the only British manufacturer of silicone and saline breast implants and related medical devices. Nagor have been selling implants since 1979 and each implant comes with a lifetime patient guarantee. They currently distribute products to over sixty countries worldwide, with the exception of North America. All of Nagor’s products are manufactured in facilities compliant with the ISO 13485 standards and requirements demanded for class III sterile breast implant medical devices and in accordance with ISO and EN requirements and have CE mark certification. Nagor is currently sponsoring a multicentre Prospective Post Market Clinical Study to collect data on the long term safety and performance of its gel-filled breast implants. Over 500 patients are participating in this UK study and are being followed up for 10 years. Breast implants are available from Nagor in round and anatomical shapes with smooth surfaces or Nagotex® textured surfaces in a range of heights, projections or profiles and a number of styles and sizes. The whole Nagor range offers 270 different options to choose from. The Nagotex textured outer shell was developed to provide a disruptive contact surface for the collagen interface which is aimed at reducing the risk of capsular contracture. Their range of saline filled breast implant products are made to order. The height of the breast implant refers to the size and shape of the implant footprint, which is the section of the implant that sits against your chest once it has been implanted, while the projection or profile of the implant refers to the drop of the implant or how far forward it sits from the chest. In tear-drop or contoured implants, the projection refers to the “drop” of the breast as it comes away from the body and in round implants, how far forward the implant sits from the chest. Once the surgeon has talked you through the right height and projection for you, a cup size can then be decided. All Nagor`s silicone breast implants are manufactured with high-performance silicone elastomer layers to improve and enhance the integrity of the outer shell, as well as a completely unique 360 degree barrier layer to minimise the possibility of gel diffusion and to maintain the shape of the implant. Nagor`s silicone gel-based breast implants are available with either a smooth surface or their patented Nagotex surface and are manufactured with soft form stable high cohesive gel or high performance cohesive gel in a number of projection and height sizes. Impleo is the newest product in the range. Manufactured with Nagor`s Nagotex surface, Impleo implants are available in an extensive range of fully filled profiles and sizes, with 38 different round implant options. The soft form stable high cohesive gel ensures a natural look. Impleo smooth implants are made with a smooth surface and are available in an extensive range of fully filled profiles and sizes, with 38 different round implant options. They are filled with a soft but firm high cohesive gel which maintains its shape to ensure a natural look. Cogel implants are made with Nagor`s Nagotex surface with three variable heights and three variable projections as well as nine different cells with 90 different variations. Cogel implants are contoured in shape, also known as anatomical or ‘tear-drop’ implants. They are filled with a form stable high cohesive silicone gell to ensure a natural look. Manufactured with Nagor`s unique Nagotex surface, GFX implants are available in an extensive choice of profiles and sizes with 56 different round implant options. They are filled with high performance cohesive silicone gel. RGI implants are made with a smooth surface and are available in an extensive choice of profiles and sizes with 48 different round implant options. They are filled with high performance cohesive silicone gel. Nagor`s saline-filled breast implants are available in a range of profiles and sizes, with a smooth or textured surface creating 64 different round implant options. Saline implants are filled with a saltwater solution, similar to the fluid that makes up the rest of the body. These are made to order. Click for ALL Nagor Implants clinics in the UK & Ireland registered and verified by Consulting Room. 3 out of 5 based on 4 customer reviews.